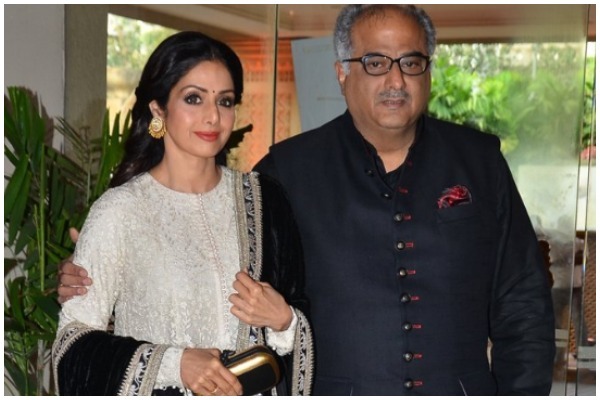 Boney Kapoor is planning to make a documentary on his late wife Sridevi, who passed away on Feb 24, 2018. The most beautiful Indian actress Sridevi, 54, breathed her last on Feb 24, 2018 in Dubai. The Chaalbaaz actress’ sudden demise sent the entire nation and fans in a complete state of shock. Bollywood’s most versatile actress Sridevi was in Dubai when she died due to drowning in her bathtub. It is also speculated that Boney Kapoor has registered not just three but some ’20 odd titles’, and the three above mentioned are amongst these 20. Sridevi’s entire world was rotating around her two daughters Janhvi Kapoor and Khushi Kapoor, and husband Boney Kapoor. Sridevi’s untimely death couldn’t let her see Janhvi’s Bollywood debut ‘Dhadak’. The Kapoor family is still coming to the terms with losing such critical part of their lives. Though she left for heavenly abode, Sridevi will always remain and will be remembered as Bollywood’s first female superstar.